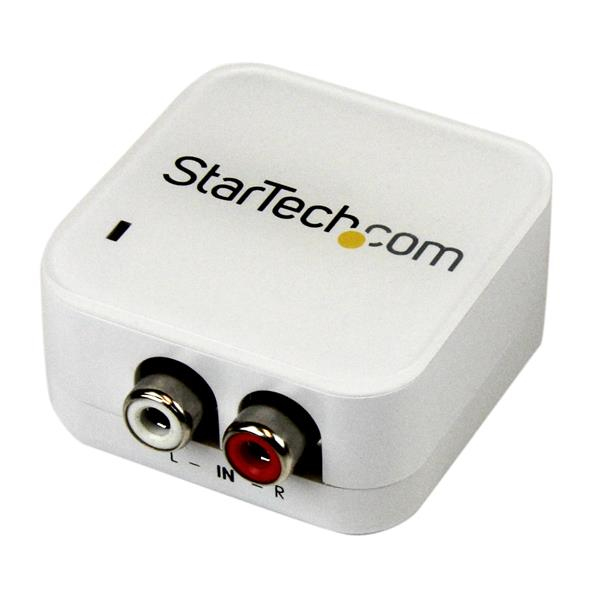 The AA2SPDIF Stereo RCA to SPDIF Digital Coaxial and Toslink Audio Converter lets you convert or split your analog stereo audio into 2-channel Digital Coaxial and Toslink output signals. 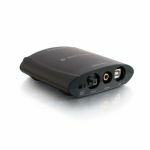 Perfect for many home and professional audio applications, this RCA to digital audio converter saves the cost of upgrading equipment for compatible connections, by offering a separate Digital Coax and Toslink output. 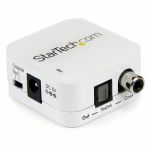 For added versatility, the device can also function as an audio splitter using the digital coax and Toslink outputs simultaneously. 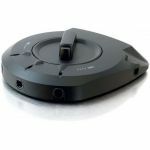 The converter features a small form factor design that makes it suitable for installation into virtually any location regardless of space constraints, while still providing a lossless audio signal at distances up to 5 meters (15 feet). 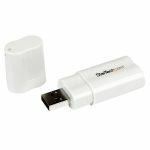 Plus, the converter supports plug-and-play installation saving you time and hassle. Backed by a StarTech.com 2-year warranty and free lifetime technical support.